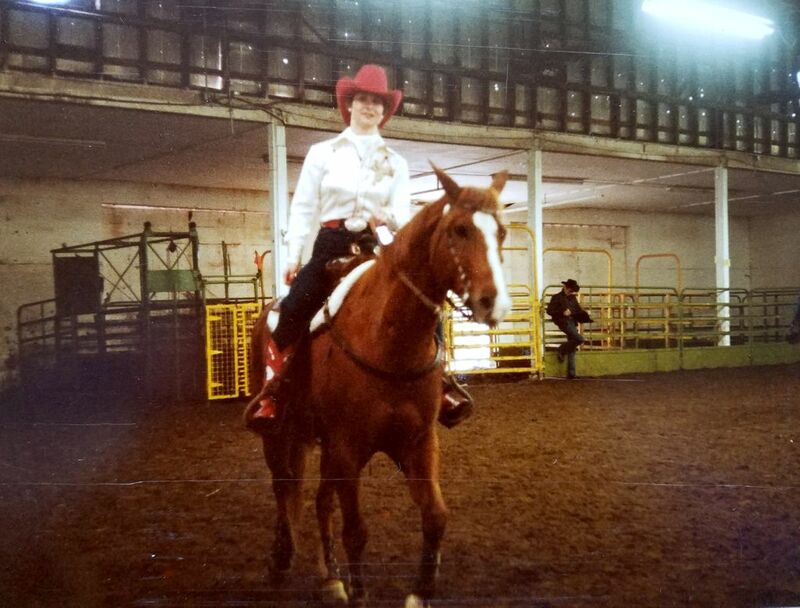 Suzanne Morgan, a 56-year-old former rodeo competitor from Southern Oregon, had always taken her physical health for granted. She never imagined that she would find herself lying in an operating room at OHSU Hospital before Christmas, on the cusp of a complicated surgery that would determine the course of the rest of her life. A severe case of spinal scoliosis had left her unable to move around without a walker, forced to sleep sitting up, and contorted her body to such an extent that her organs were being compressed. 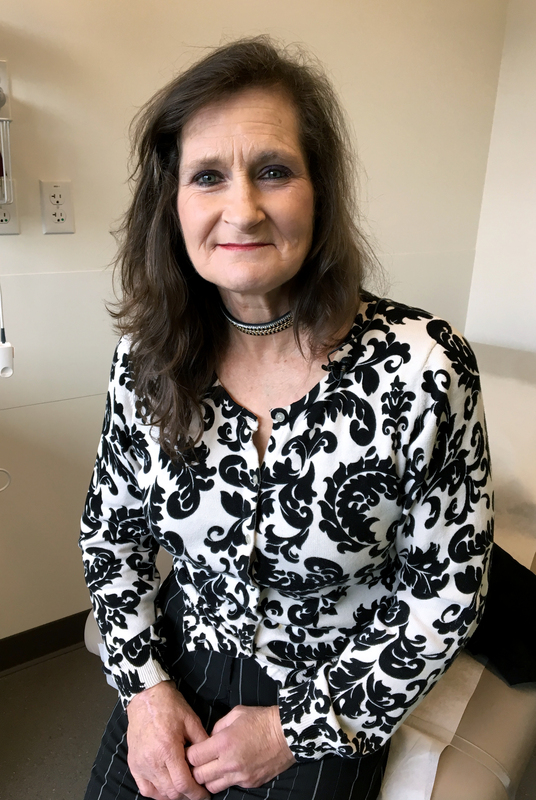 Fortunately for her, an OHSU surgical team working over two days – including a 13-hour procedure on Dec. 18 – successfully repaired her spine with the help of 30 screws and four rods. 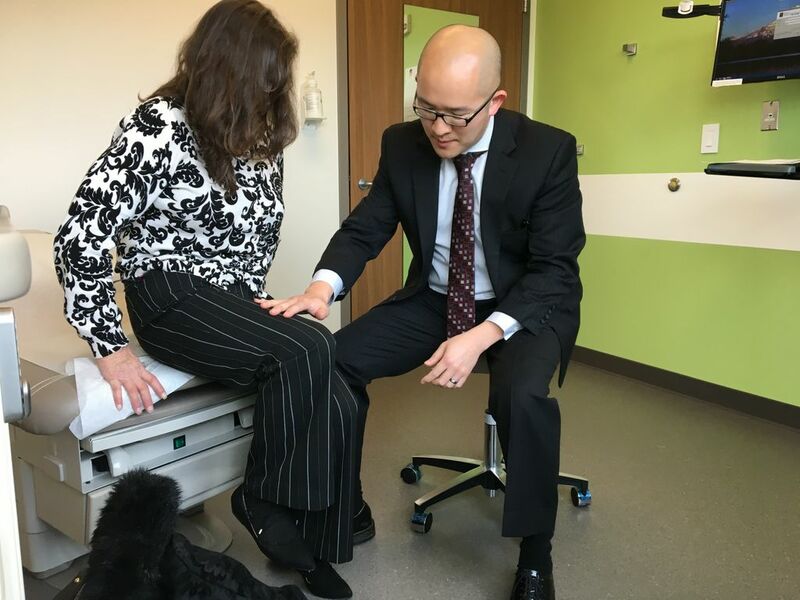 Surgeon Khoi Than, M.D., an assistant professor of neurological surgery in the OHSU School of Medicine, called it one of the worst cases of spinal deformity he had ever seen. “Ms. Morgan had a very severe condition, so she had a serious type of surgery,” Than said. Following the surgery, Morgan almost immediately noticed improvements in reduced back pain. Even better, she walked upright for the first time in two years. She gleefully threw her walker away. “It’s a miracle, it really truly is,” she said. 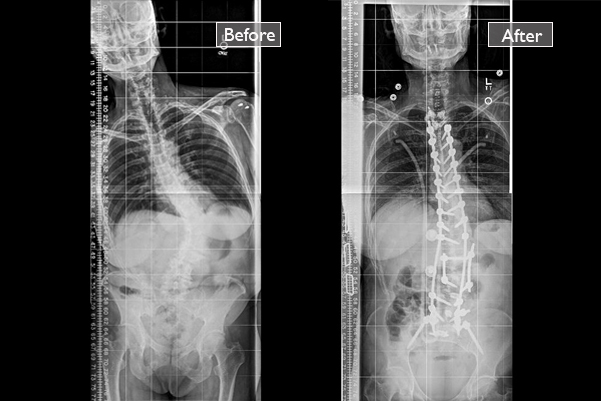 Scoliosis affects 2 percent to 3 percent of the population, with varying levels of severity. “Our spine bears our weight from the moment we start walking,” Than said. The OHSU Spine Center emphasizes the least-invasive treatment possible, including physical therapy, bracing and medications. Yet, there are times when surgery is necessary. Morgan’s case was clearly one of those times. Her trouble began in 2006, after she fell 25 feet from a haystack onto a concrete floor. 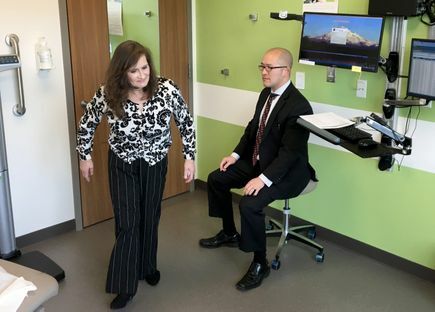 Over the years, the initial injury set off a cascading set of health problems that resulted in several visits to the hospital near her home west of Roseburg and to OHSU. Than first encountered her in fall 2015, when she was being treated at OHSU for an infection related to her spinal condition. By that point, Morgan was already restricted to a walker to get around, her spine pitched forward and twisted to the right. From the front, an X-ray image revealed her spine in the form of an “S.” Once 5-foot-4, she stood barely 4-foot-7 due to the spinal deformity. Than knew he could help. “Dr. Than just kept telling me, ‘I can fix you, I can fix you,’” she said. Morgan came to OHSU for the first of two days of surgery on Dec. 15, with the final 13-hour procedure on Dec. 18. Jeffrey Kirsch, M.D., professor and chair of anesthesiology and perioperative medicine in the OHSU School of Medicine, noted that a case this complex typically includes a large team, including physical therapists, nurses, neuro-anesthesiologists, neuro-monitoring technicians, operating room technicians and often pain management specialists. Morgan’s procedure involved carefully cutting the bones in her spine, bracing it with a series of screws and metal rods. “She’s got a lot of metal in there, but that’s what will hold her upright and allow her to heal,” Than said. On Christmas Day, Morgan left the hospital and returned home. 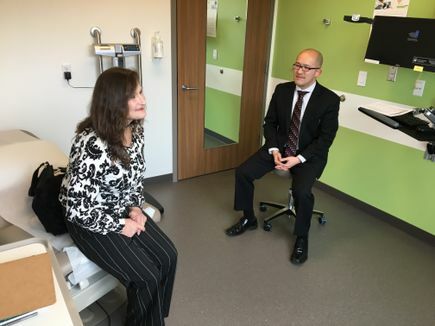 Than said her prognosis is good due to her relative youth, along with a commitment to a healthy lifestyle that included dropping her smoking habit. Already, she’s talking about getting back on the saddle. That would suit Morgan just fine. 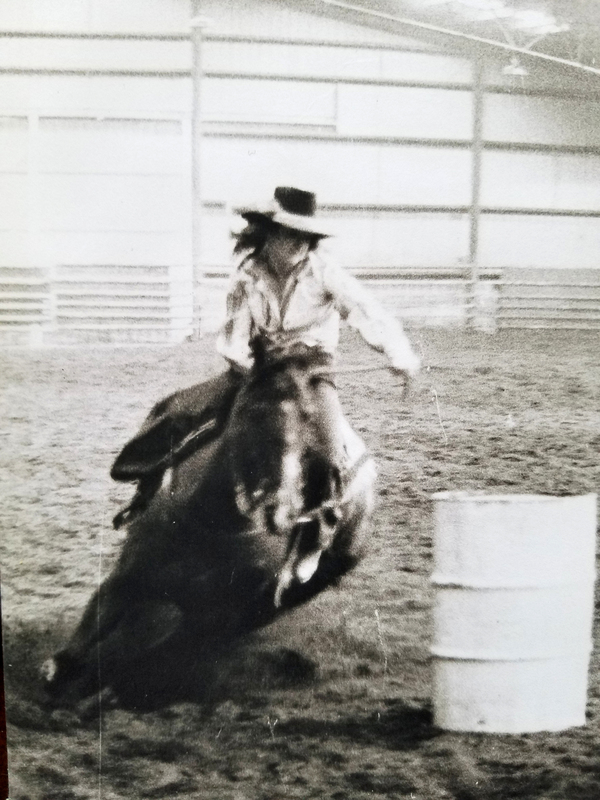 The longtime Douglas County resident once participated in rodeo and today helps to manage a 500-head cattle ranch with her parents in Melrose, an unincorporated community west of Roseburg.